Sign in to buy tickets Not a member? Sign up here. Sign up to buy tickets Already a member? Sign in here. Markus Wiklander purchased tickets to a concert. Emues Crew purchased tickets to a concert. Marie Prado purchased tickets to a concert. Abr M purchased tickets to a concert. 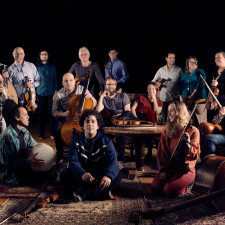 Bosphorus Ensemble suggested a concert.